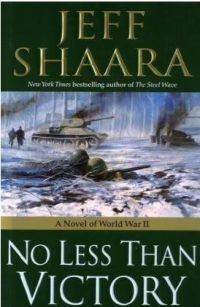 Description: No Less Than Victory is the crowning achievement in master storyteller Jeff Shaara's soaring World War II trilogy, revealing the European war's unforgettable and harrowing final act. Though some in the Nazi inner circle continue the fight to secure Germany's postwar future, the Führer makes it clear that he is fighting to the end. He will spare nothing-not even German lives-to preserve his twisted vision of a "Thousand Year Reich." But in May 1945, the German army collapses, and with Russian troops closing in, Hitler commits suicide. As the Americans sweep through the German countryside, they unexpectedly encounter the worst of Hitler's crimes, the concentration camps, and young GIs find themselves absorbing firsthand the horrors of the Holocaust.